The Pirie Street clinic in the Adelaide CBD focuses on timely, business hours appointments for busy people. Whether you are accompanying your child for their appointment during your lunch break or it’s an appointment for you. When you’re on a busy schedule, you want your time to be respected. 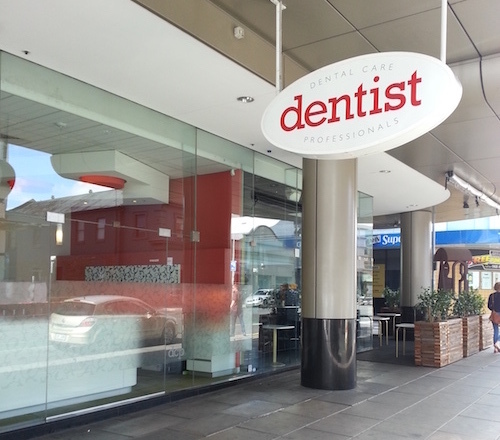 The knowledgeable and experienced dental staff at Dental Care Professionals in Adelaide are ready to help you with your dental treatment needs. The team at the Adelaide practice will help you get back to “business as usual” quickly, without compromising on treatment quality or the amount of personal attention you get. Phone 08 8232 3280 to make an appointment. Dental Appointments Available. New Patients Welcome. Whether you have an emergency or would like to speak to somebody about a smile makeover, there’s a fast and easy way to schedule your next appointment at either of our dental clinics. If you are a new patient to the practice you can complete the New Patient form before your appointment. This will save you time on the day of your appointment and help you provide your dentist with a complete medical history.